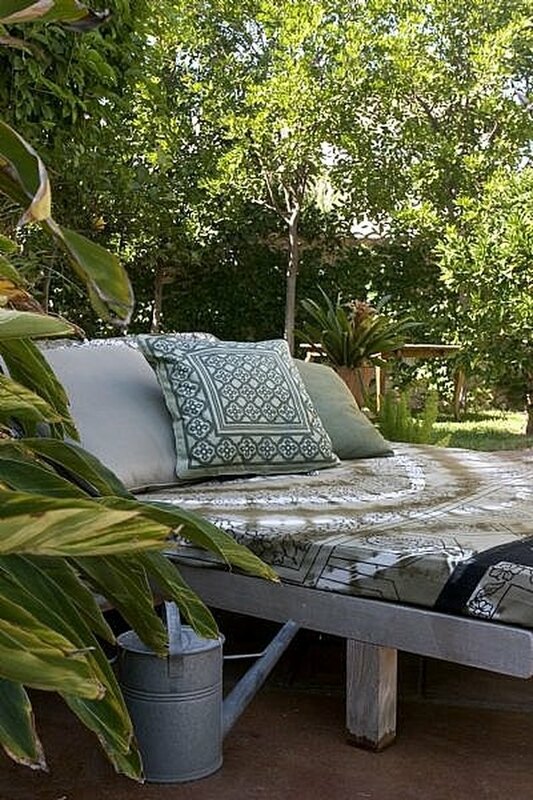 How to Create an Outdoor Lounge Bed. 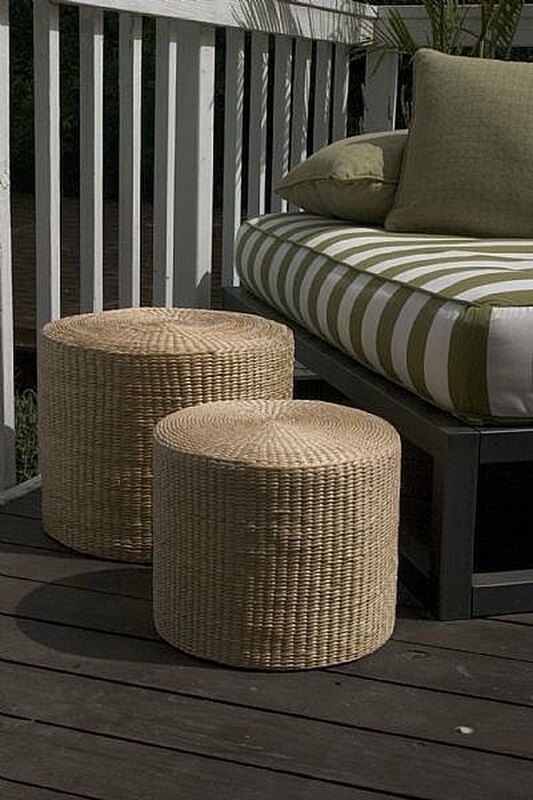 Want to give your deck a little of that chic, outdoor lounge look? Give yourself, and your guests, a comfortable place to relax alfresco by assembling a lounge-like bed in your own backyard. It's sure to be a whole lot more inviting than a hammock-and a whole lot chicer too. All the hip hotels have them-now so can you! Buy a futon mattress, sized according to your bed frame. Have the futon covered in an outdoor fabric. (I suggest having your upholsterer add a water-proof liner under the outdoor fabric cover, just to be safe!) White will give you that Miami lounge look, but it could be awfully hard to keep clean. A darker shade or a pattern might prove more practical. To give your mattress a boxier, more tailored look, opt for self- or contrast-welting. My favorite outdoor line is Perennials-or you can find great affordable options at Outdoor Fabrics (see Resources below). Make the bed more comfortable-not to mention more attractive-by adding plenty of pillows. These should also be covered in outdoor fabric and can be either in the same fabric as the mattress, or if you want to add a splash of color, I always like to mix in some accent colors and patterns.